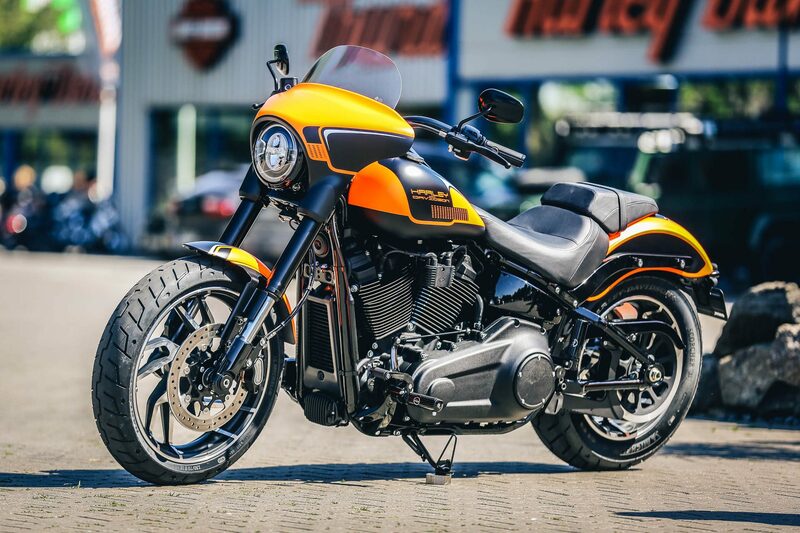 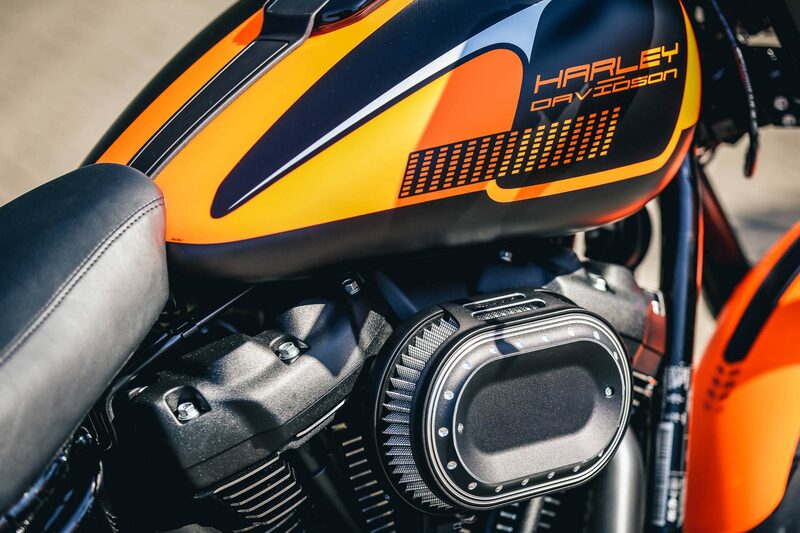 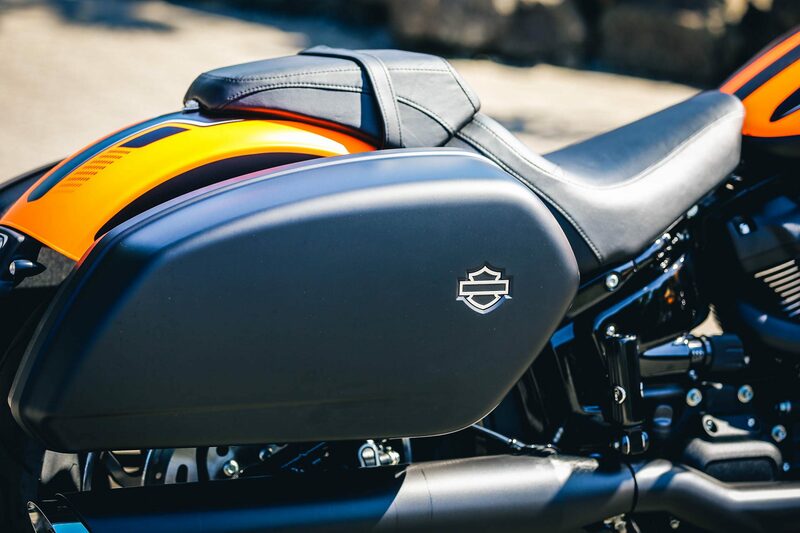 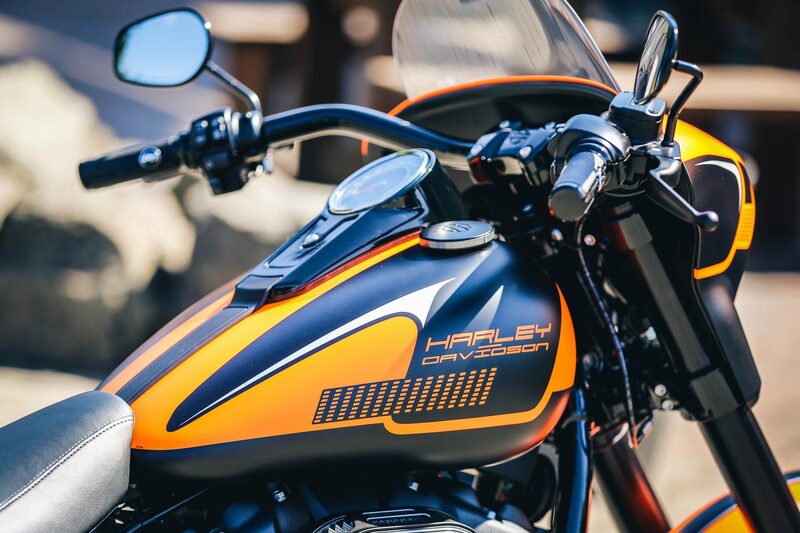 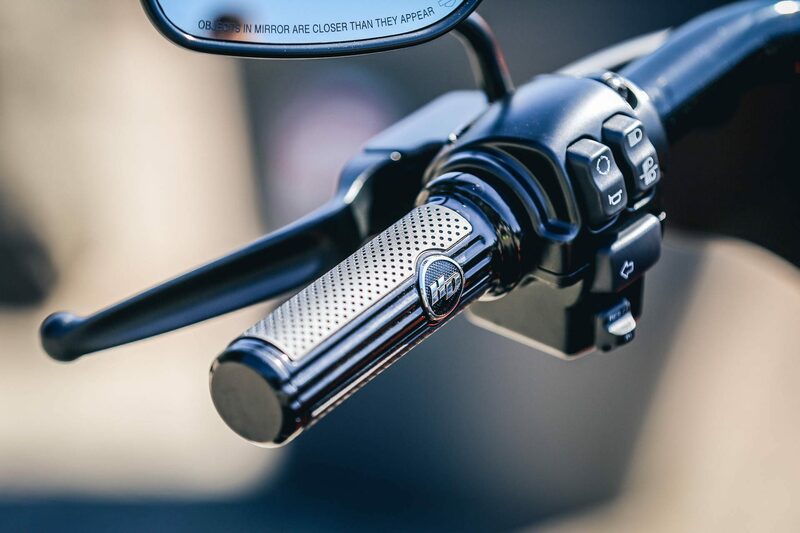 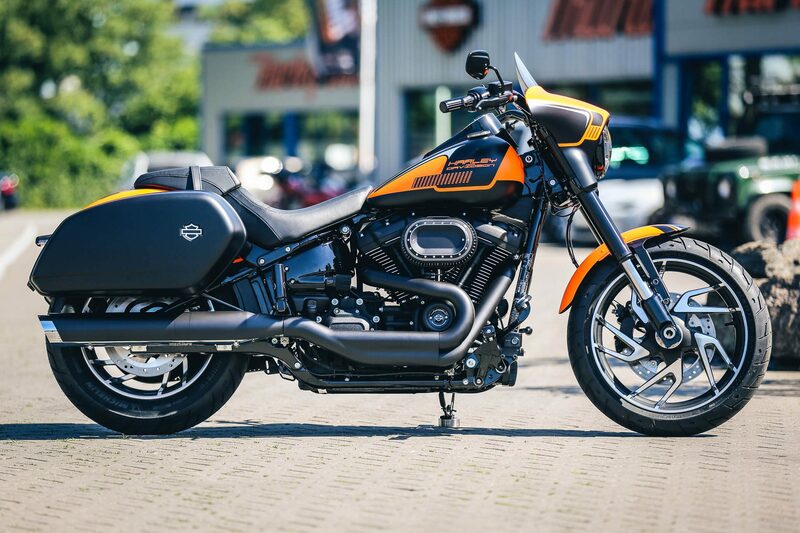 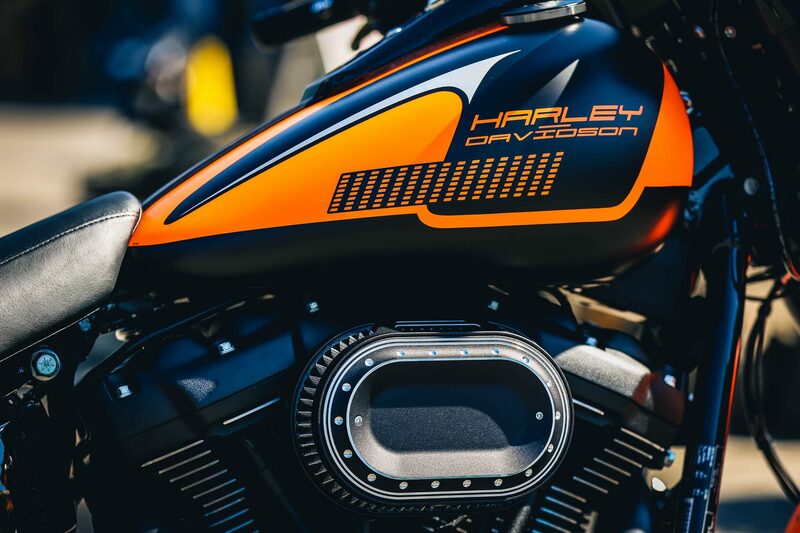 Since January 2018, the new Harley-Davidson SPORT GLIDE model is available. 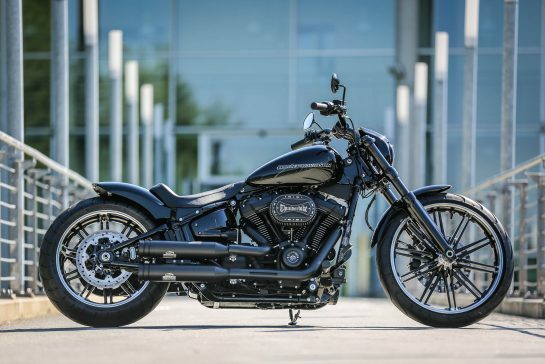 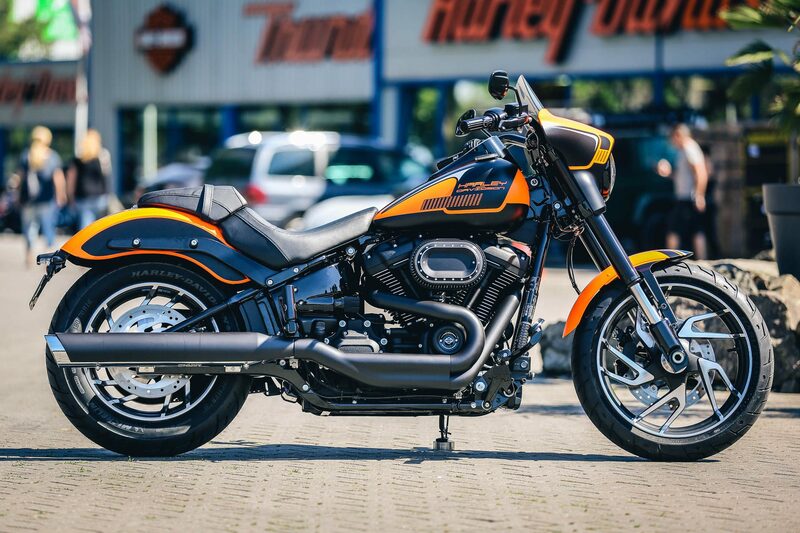 In our opinion, it’s already a well-endowed Softail for a hammer price. 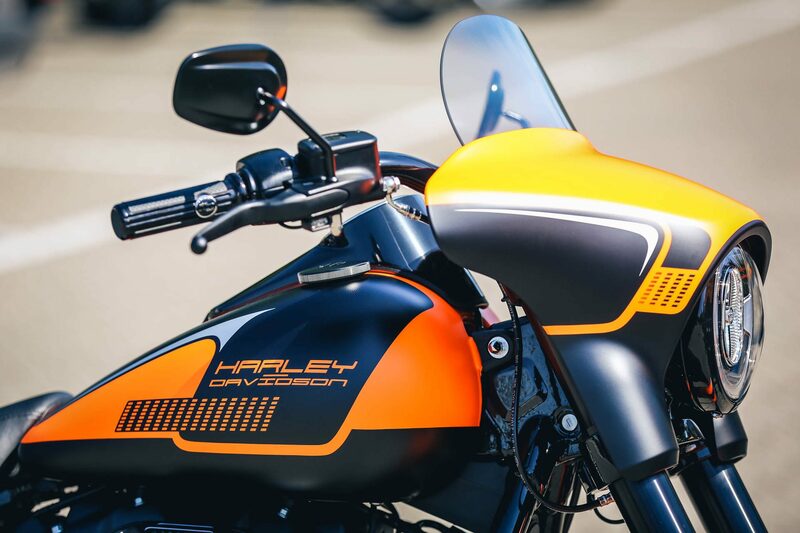 Last year, such a project with suitcases, LED headlights, fairing, chrome parts and Co. would have cost well over € 20,000. 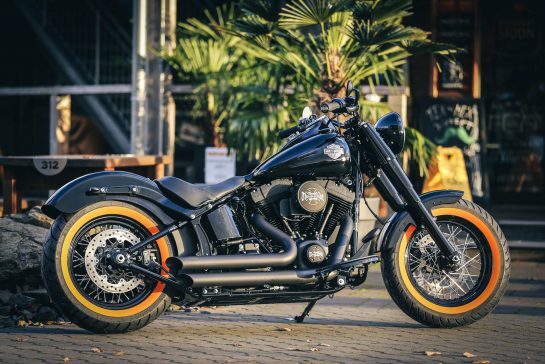 Harley delivers right this year and makes the Softail Slim tough competition from their own house. 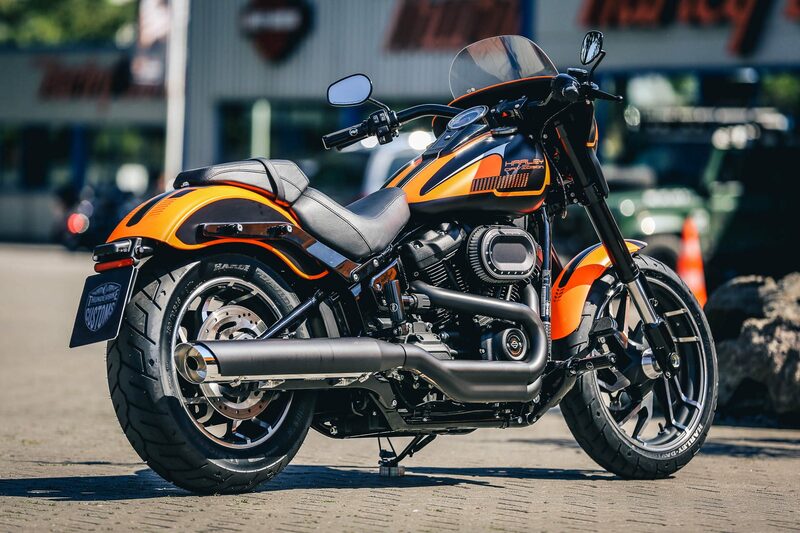 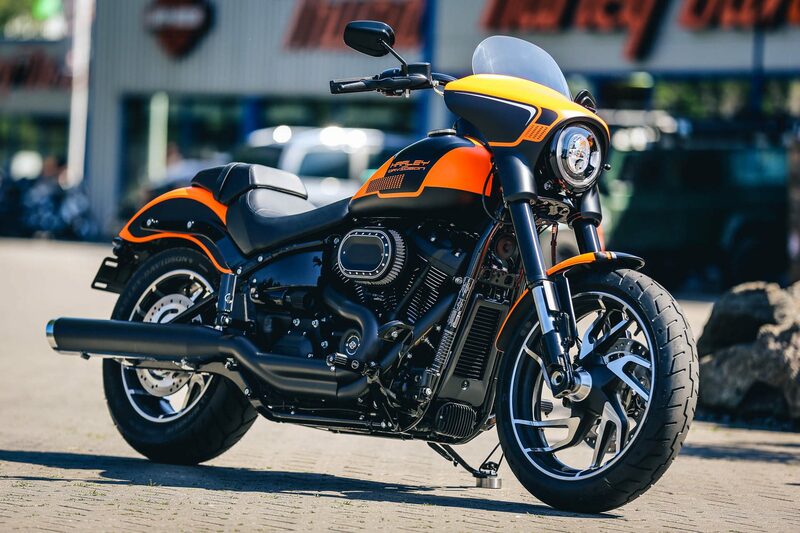 As the unofficial successor of FXRT and Switchback, the bike is quite impressive and will be a serious alternative to the Road King. 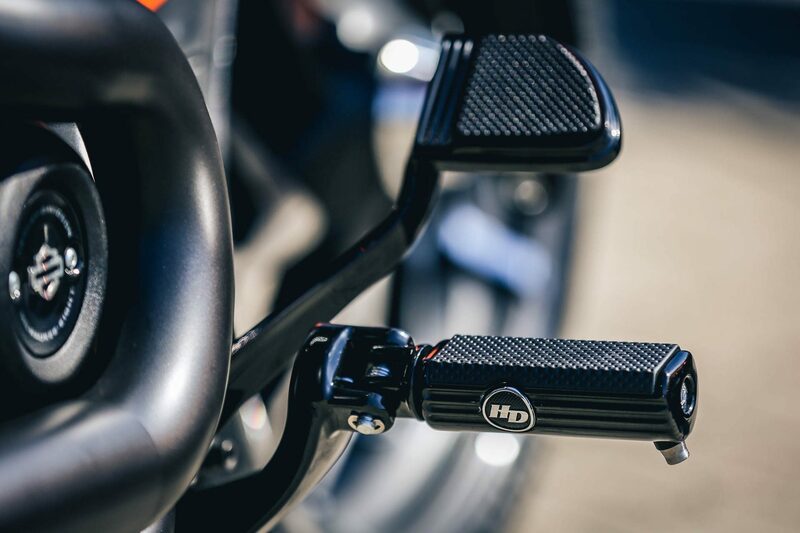 Now we have beefed up the part a bit. 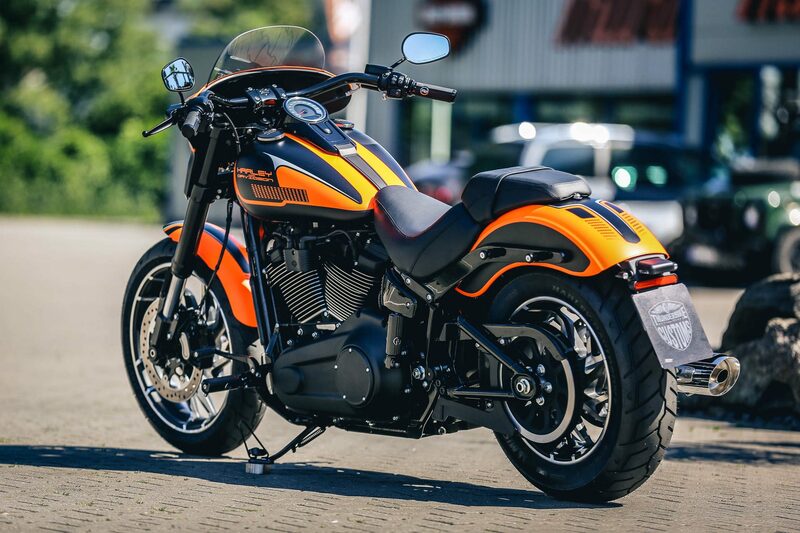 The neon color trend from the USA spills so slowly across the pond in our climes! 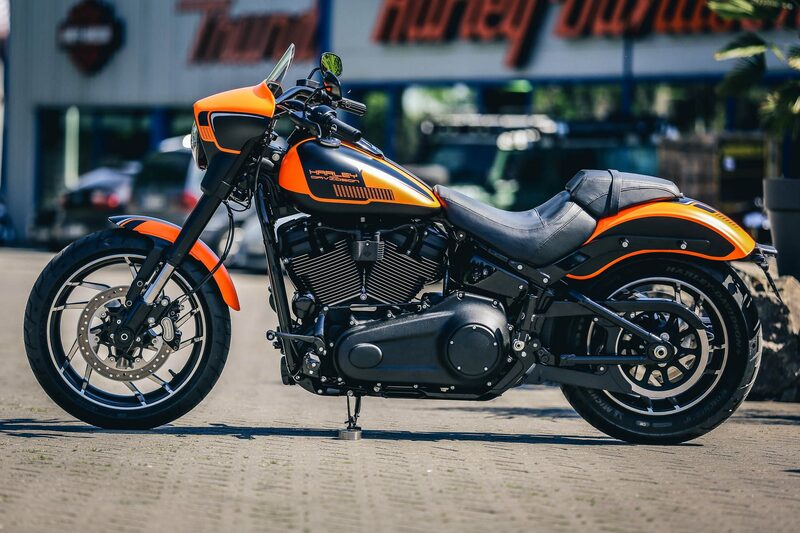 With the provocative Kruse Newschool painting, the SPORT GLIDE is not exactly inconspicuous. 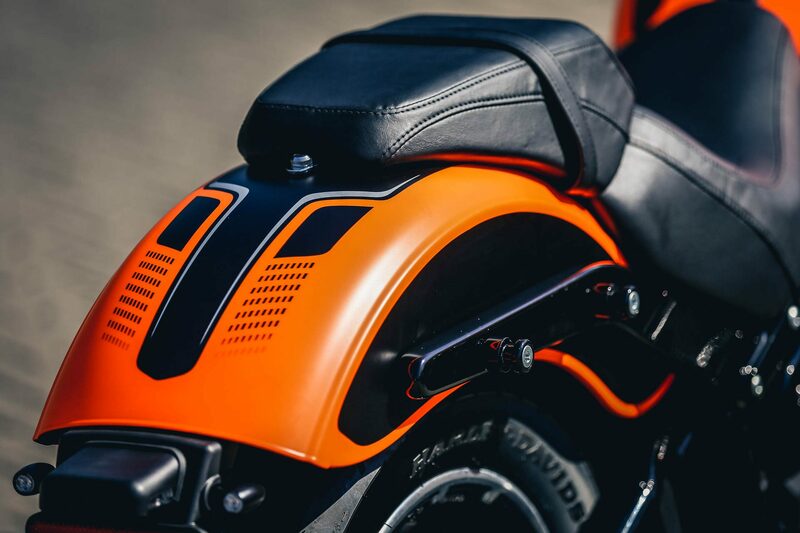 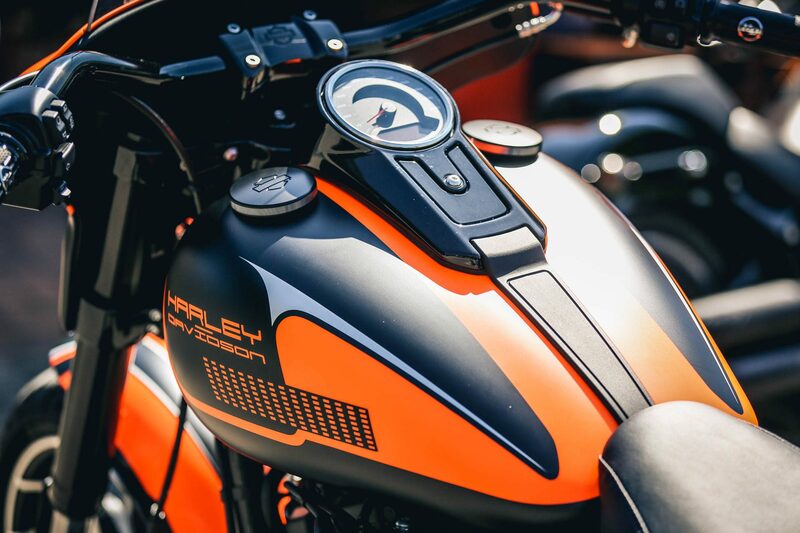 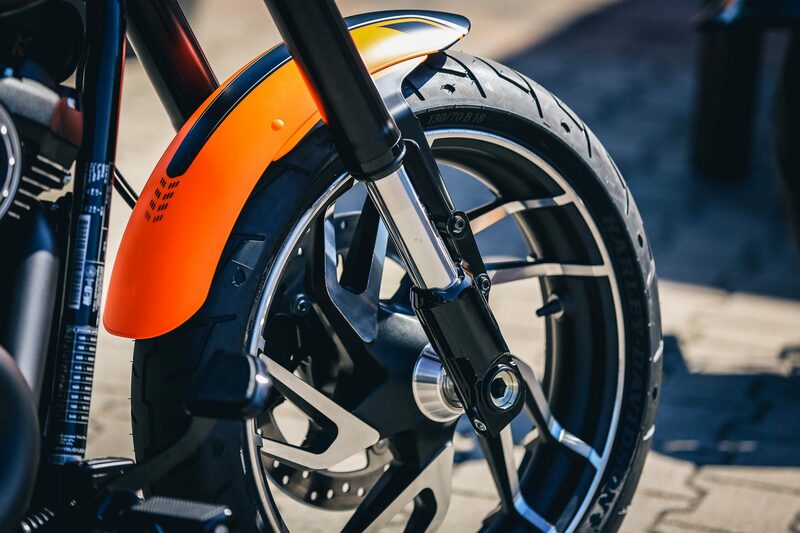 The bike is designed with our oval air filter kit, an air filter cover and smaller LED tail light and flash units.